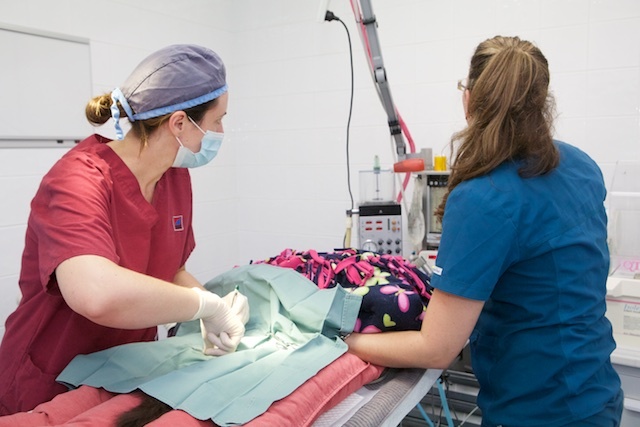 At Nicklin Way Veterinary Surgery we are continually investing in new equipment and expertise to ensure your pet is comfortable and safe through any surgical procedure that may be required. Our surgery theatres are equipped with isoflurane anaesthetic machines, heated tables, intravenous fluid infusion pumps, electrocautery, and sterile autoclaved instrumentation packs. 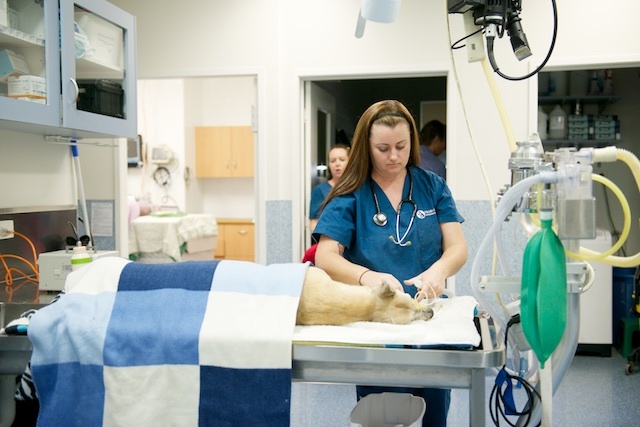 Great advances have been made in veterinary anaesthesia, allowing us to confidently anaesthetise your pet, and even elderly or sick patients. We strongly advise pre-aneasthetic blood testing to check liver and kidney function prior to any anaesthetic. We use pulse oximeters to record patient heart rates and oxygen levels, ECG to measure heart electrical activity, and Doppler blood pressure monitoring for all procedures. Please ask one of our experienced veterinarians if you would like more information on the risks of anaesthesia and how we can minimise them. The surgery has a wide range of orthopaedic equipment that enables us to repair most fractures. 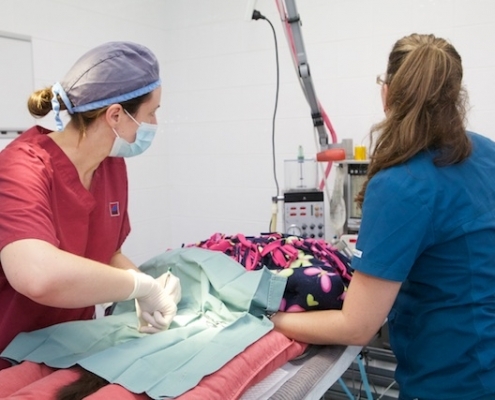 We are also equipped to perform TTO cruciate repair (knee reconstruction surgery) and for any major abdominal surgery, for example emergency caesareans, bowel surgery, twisted stomachs, blocked bladders and cancer removal. The anaesthetics we use are similar to those used in human hospitals and allow for a rapid, comfortable recovery. Most patients are happily up and walking within 30-60 minutes of a general anaesthetic. 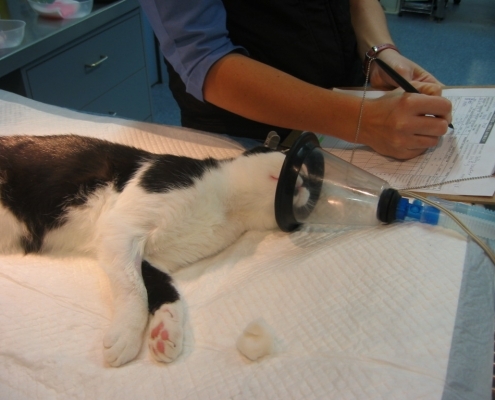 We use intravenous sedation and local anaesthesia for many short procedures. 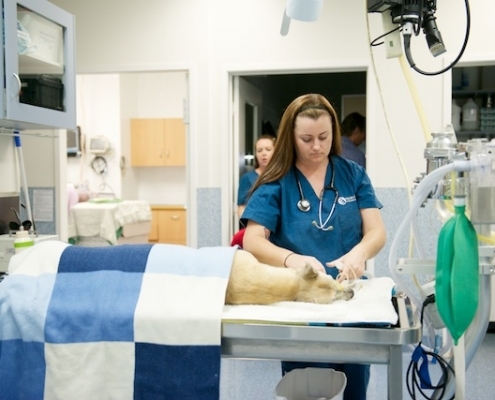 This allows your pet to be able to go home within a few minutes of a procedures completion. 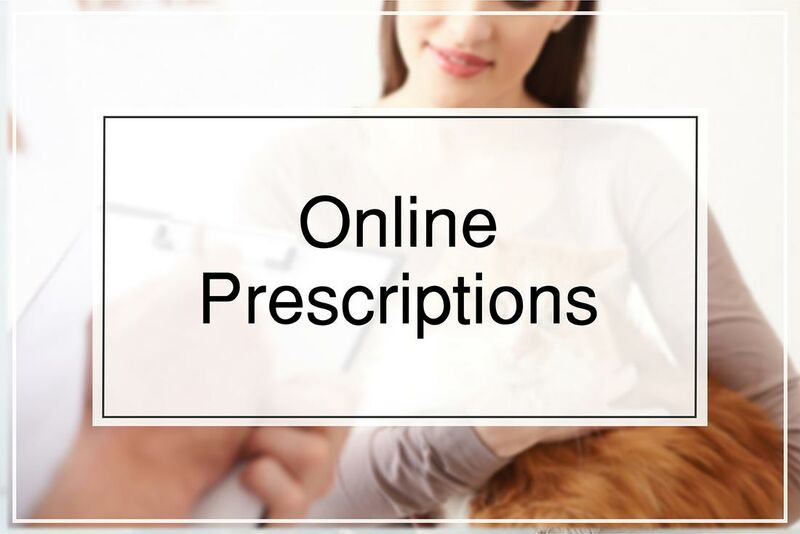 To ensure your pet convalesces comfortably at home, we provide various analgesic (pain killer) regimes post-operatively.